March | 2015 | LIT.GAZ. I finally picked this up and read it for the first time (having bought it new in 1980!) because I learned from Gombrowicz‘ diary that the two knew each other, and Gombrowicz rated Schultz quite highly. It’s a collection of linked short stories centred on Schultz’ hometown of Drohobycz, formerly in eastern Poland. 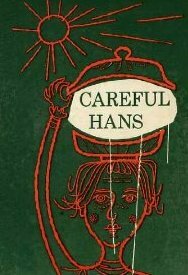 The atmosphere is dreamlike, almost hallucinatory in places; there are echoes of Kafka‘s short story Metamorphosis as Schultz writes about his father, though the transformation is slower and more drawn out than that of Gregor Samsa. Although they are divorced from reality, there is a hypnotic feel to the stories; the characters are also unreal: the closest comparison I could come up with as I thought about them was with Marquez and magic realism, that style which was to emerge much later on. The language is often beautiful, lyrical as we shift from semi-reality to fantasy. Echoes of some of Boris Vian, too. I often wonder which writers have read, heard of or comes across each other when I pick up on similar traits like this in different writers. 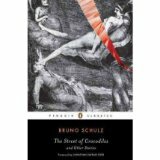 The two most accomplished stories are The Street of Crocodiles and Cinnamon Shops (this collection is sometimes given the name of that story as its title), both powerful and haunting visions of aspects of the town. When I read something like this, I find myself reading quite differently compared with how I interact with a more conventional novel or short story: here, I drift too, in a dreamlike state, through the almost poetic visions and imaginings of the writer, rather than absorbing words and thinking about them as I seek to take plot and character on board. Quite a magical experience. Reading a fair bit of science fiction lately shunted me onto the track of thinking about writers and time – that think which is always in limited supply and of which we never have enough. We are prisoners of it, shaped by it: in the end it defeats us, and all our works: Shelley’s Ozymandias is a marvellous reflection on this. Along with all the other constantly repeated themes in fiction, drama and poetry, writers have explored our relationship with time. We want to escape time and can’t, so we sit and waste more of it by sitting down and reading books. We freeze things in time, capturing them with words or with light. Does any of this help? Back in Roman times, the poet Horace wrote to his friend Postumus (Eheu, fugaces, Postume, Postume/ labuntur anni…) about the years slipping by and our inability to slow the passage of the years, with old old age to look forward to; Shakespeare‘s Richard II reflects, in his prison cell, awaiting his death, that he wasted time, and now time wastes him; Andrew Marvell imagines giving time a run for its money (Had we but world enough and Time/ This coyness, lady, were no crime/ ) in the famous To His Coy Mistris, whilst recognising that one will eventually be too old to enjoy love-making. 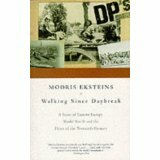 Proust writes of recapturing the essence of the past with that famous madeleine moment, and I am sure we have all had our equivalent experiences: I have often found myself astonished at the amount of detail from my past that my brain is capable of storing, as some long-forgotten nugget floats to the surface of my consciousness, triggered by I know not what. Once we start thinking about time, we drift into our own, individual, relative insignificance in the wider scheme of things; unless we are particularly famous or notorious, memory of us is likely to fade within a couple of generations at most… which is perhaps why Arthur C Clarke‘s The City and The Stars is so appealing: a thousand million years in the future, a computer runs the City, and individuals are born and reborn every million years or so, conjured up from the City’s memory banks. Would we feel comforted in the face of eternity, with such prospects? On the other hand, in his masterful Last and First Men, Olaf Stapledon imagined two billion years of future human history, and the speed with which everything you and I were familiar with from our puny ten thousand years or so of current history vanished into oblivion was quite shocking. I recently read his Memories of Poland, which dealt with his early life and the pre-war years in Poland; this massive tome (800 pages) deals with his later life and is apparently regarded as his most important work; he sailed to Argentina a couple of weeks before the outbreak of the second World War and didn’t return to Europe for twenty-four years; he never went back to Poland. 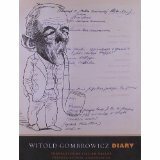 Gombrowicz is still focused on the relationship between Poland and the West, its inferiority complex and its immaturity, its need to boast, to prove itself a peer of other, really European nations; in places it almost seems an obsession, and, whilst it’s pretty clear what he is criticising, what he would replace it with is much less so. There is a yearning for Poland and Poles to be authentically themselves and original rather than be imitative of, or worhipful of Europe. Despite the lack of clarity I experienced, there is true challenge and originality, questioning and analysis in Gombrowicz’ work. He is very interesting on Milosz’ important work The Captive Mind, a study of intellectuals under communism. The Diary feels like a blog from the 1950s, before the invention of the concept; it’s certainly not a diary in the ways many of us would understand it; occasionally there are bizarre, even hallucinatory passages; sometimes he writes about himself in the third person. Some aspects of his own story and his past are clarified. There are some real nuggets buried in places, such as his enthralment with Beethoven’s late string quartets, which he writes much about. He develops a detailed and very interesting – I can’t judge how accurate – analysis of why the inter-war Polish Republic was ultimately a failure, and why Polish art and literature failed: his focus is on the real difficulty of a new nation emerging after 120 years of non-existence, and yet still clinging to the baggage of the distant past. And yet I found myself thinking of the emigre and his relationship to his country, from a distance of 8000 miles and two decades or more; as time passed, he seemed to become more tormented or perplexed by his relationship with Poland, with other emigres and Polish emigre journalism; he seems out of sympathy with many of his peers. When he finally returns to Europe for the last five years of his life, he seems rather lost and out of place. The diary confirms for me the awfulness, and the loneliness of exile and separation from home, even in such a perverse character as Gombrowicz. Usual moan: for a book from Yale University Press, I’d have expected a much higher standard of proof-reading. What set me to thinking about this particular topic is my increasing awareness that I don’t read very much that overlaps with what my friends and colleagues read, with what is popular or of the moment; I don’t feel that I’m being either perverse or snobbish in this, and it is nevertheless the case. I find relatively few people that I can discuss in detail what I’ve read with; I hope that this blog might spark some responses and dialogues, and sometimes it does. So, beginning with the obvious (at least as it seems to me): I read a lot of literature from and history of Eastern Europe, and not exclusively from Poland. Given my antecedents, that’s not too surprising. I’m also very interested in religion and matters spiritual; having had a fairly strict and conventional Catholic childhood, that is probably not surprising either. I read a lot of travel writing, as anyone who’s skimmed this blog will be aware; again, given my father’s origins and his extensive (enforced) travels during the Second World War, the idea that there were lots of other unfamiliar, curious, and even strange lands all over the planet took root pretty early on. I was used to hearing a foreign language spoken from my earliest years when my father chatted with his fellow-exiles. And then there are the tastes I have acquired whose origins I cannot fathom. Where did I get my very early love of science fiction from – what made me read Dan Dare in the Eagle so avidly? And whence the (almost) obsession with Sherlock Holmes? I’ve lost count of the number of times I’ve read each of the stories and novels; I know what happens in each of them, the solutions to the mysteries, and I still go back to them. And, why don’t I read the things that I don’t read – if you see what I mean. For a student and teacher of literature, large swathes of it remain literally a closed book to me – there’s a post about that somewhere in here, too. Is it part of ageing, that one starts to wonder how one was shaped, influenced and became the person that one is, that one inevitably is, and that now, as I accept growing older, I realise that I cannot be anyone else? I sometimes think about the process of learning to read, and how astonishing it is, because it opens up a whole new world beyond the real, physical world, to a child. There’s normally controversy about how it should be done, especially in England, where education has long been a political football; as my wife was a primary teacher, we sometimes discuss the issue and compare notes on our experiences. I went back to my own experience. Firstly, I have no recollection of being read to at home, whereas this is nowadays a joy to children and their parents. There were no books, although I’m not completely clear whether this was a class thing, because of lack of money, or because books for small children were not widely available during my childhood. So, learning to read happened at school, beginning in Miss Marvell’s class in my case, with an alphabet frieze around the top of the classroom walls to chant together, and flashcards which she held up for us to recite – ‘Mother Mother see Kitty’ being the only one I can remember, thinking it a rather odd statement to be making, even at the age of five… In Mrs Harvey’s class we read together, read aloud individually, and she read to us, which I loved; my picture is of it all coming together pretty quickly and without any real difficulty. I do recall having to help one or two of the ‘weak’ readers with their books. 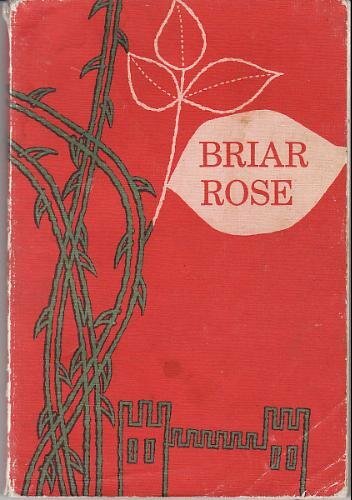 What thrilled me was the discovery of longer books, with actual stories in them: I was hooked very quickly. I was enrolled in Stamford Public Library at an early age, and often made daily visits to get another book to read. 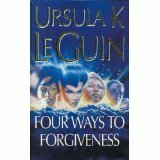 I discovered science fiction written for children, and loved the idea that there might be other worlds out there. It was there that I came across the ‘Young Traveller‘ series, in which a (nuclear, white, middle class) family of parents and children visit different countries of the world and are introduced to different foods, traditions and practices, and see the main tourist sites. All very wholesome, and illustrated by inset pages of black and white photographs. But I am not surprised that I love travel, and travel writing in my later years. I worked my way through the classroom libraries in school, reading pretty much everything, including large parts of the ten-volume Children’s Encyclopaedia by Arthur Mee. Once you had completed whatever task the teacher had set for that session, you got sent off to pick a reading book… bliss. I began to acquire books, slowly, and my father made me a small bookcase for my bedroom – I still have it. I loved the relatives who sent me book tokens for Christmas and birthdays, rather than the usual boring stuff. One of them bought me The Wind in the Willows – the oldest book in my library – and another bought me The Adventures of Sherlock Holmes (and we all know what that led to!). I also read comics, hoovering up the adventures of Dan Dare, although I don’t think my parents fully approved of this sort of literature. Whether one takes a religious line and believes that God gave us reason and intellect and therefore we should use them, or a more secular approach, believing that the human brain is one of the peaks and marvels of evolution, surely our curiosity and ability to pursue knowledge is one of the greatest things about our species; I have always felt this. Humans have always sought to know and to understand their world; over millennia our knowledge and understanding has grown. Men have sought to write down the sum of what is known – Pliny‘s Natural History is a fascinating example of this, although for me the pioneer has always been Isidore of Seville, a seventh-century monk who wrote what has sometimes been called the world’s first encyclopaedia, his Etymologies, a series of twenty short volumes which attempt to classify, categorise and explain all things that were definitely known in his time. For his pioneering work, he has earned the title of patron saint of the internet, which I think is wonderful. The organisation and content of the Etymologies is at times weird and/ or bizarre, but it’s the effort and determination, and the understanding that it needed to be done, which earns the respect. Similarly, travellers and explorers, about whom I often write, have dedicated themselves, through the centuries, to finding out about the furthest corners of our world, often at extreme risk and peril; the more I read, the more I am astonished by how much was known and discovered long ago, in many different lands. But then, knowledge can be lost, and I do feel that there is a Western bias in the way that discovery is presented to us nowadays, in that a thing or place in unnown until someone from the west has uncovered it and written about it. When I was 14, men landed on the moon for the first time and walked about on it; I got myself up at three in the morning to watch the event live on grainy black and white television, and it is still, all those years later, the most marvellous thing that has happened in my lifetime, and it remains etched clearly on my memory. Yes, they knew where they were going, how far it was, and how long it would take, and the risks involved; they did it, and it’s the furthest humanity has physically got in its exploration of the universe. I doubt that I will still be here when men walk on Mars, but I do believe that money, time and effort spent on getting there is worthwhile, compared with many other things on which we waste our time and resources. When Wikipedia first began, the idea seemed weird: an encyclopaedia anyone could contribute to, and yet as it has evolved and developed it has become a veritable goldmine of information (yes, I know not all of it is reliable, but its reach stretches way beyond anything else) and it lives on in the spirit of Isidore, as a recognition of our search for knowledge. 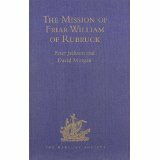 In 1253, Friar William and a companion set off on a journey into the unknown, which lasted two years. With an introductory letter from the king of France, they set off for the court of the son of Genghiz Khan, with the intention of preaching to him and, if possible, converting him to Christianity. That task itself was not quite as insane as the journey, as Nestorian Christianity was quite well established in those regions. I’ve sometimes alluded to the differences between exploration, travel and tourism in my posts on travel writing, and this book helped clarify those differences for me. Nowadays, we have a mental map of the world in our heads, with varying levels of detail according to our geographical education; we know of routes from place to place, the various nations and peoples of the globe, where particularly dangerous areas are; there are no blank spaces on our maps. Back in the mid-thirteenth century, some routes were known, some places and some peoples too; there were no maps as we know them, so distances were unknown; there were no compasses, so directions themselves were unclear. News as we know it did not exist, so there was no way of knowing if one were heading into the equivalent of twenty-first century Syria, or Libya, say… so Friar William had to trust to God and his fellow humans, and allow himself to be led by people he hoped were honest and well-meaning. And he went. He observes details, and records them carefully, for his report to the French king: places and peoples, routes and distances, customs, what people eat and drink and how they marry and bury their dead. He relies on vague previous knowledge and legend at times; he makes some judgements and offers some opinions which show his Christian bias or prejudices, but overall he is pretty impartial and even scientific in his approach to reporting. He got there and back, although he left behind his companion who was too ill to travel back; he failed in his intended mission although he seems to have received a courteous enough reception from the lord of the world. We know almost nothing about William himself except a small detail that reveals thar he must have been quite a portly man. I find myself in awe of such a traveller, lost in the mists of time, his achievements and how his account has survived over 750 years. It’s partly thanks to the Hakluyt Society, who are dedicated to publishing accounts of travel and exploration which might otherwise disappear from our knowledge; their books are beautifully produced and edited, usually with helpful maps, and copious introductions and footnotes.